The complex interactions become even more confusing as noted earlier by the growing concern over greenhouse gases. Warming from the natural phenomenon, characterized by warming from the atmospheric greenhouse effect, is highly beneficial to life as it exists on earth. The gases causing the warming of the atmosphere are known as greenhouse gases, including water vapor, carbon dioxide (CO2), methane (CH4), and nitrous oxide (N2O). CO2 is released to the atmosphere when solid waste, fossil fuels, and wood are burned. Methane is emitted during the production and transport of coal, natural gas, and oil. Methane emissions also result from the decomposition of organic wastes in municipal solid waste landfills, and the raising of livestock. Nitrous oxide is emitted during agricultural and industrial activities, as well as during combustion of solid waste and fossil fuels. There is growing evidence that the concentrations of CO2, CH4, and N2O have been increasing steadily since the Industrial Revolution, associated with more intense human activity. Greenhouse gases may have the desired effect of warming the atmosphere sufficiently to create favorable conditions for biological activity in some areas. Enhanced greenhouse warming due to human activity may, however, lead to uncertain, disruptive consequences to the natural ecosystems. Agriculture is a relatively minor source of gases that contribute directly to changing climate conditions. However, agriculture is especially sensitive to climate and atmospheric composition. Agriculture can play a contributing role in slowing the buildup of greenhouse gases. Changes in land use and forestry activities can emit CO2 to the atmosphere through the conversion of forest land to agricultural or urban use. Forests are a major terrestrial sink for CO2. Approximately half the dry weight of wood is carbon and, as trees add mass to trunks, limbs, and roots, carbon is stored in relatively long-lived biomass instead of being released to the atmosphere. Soils and vegetative cover also provide potential sinks for carbon emission. Soils and trees act as natural sinks for carbon, with hundreds of billions of tons of carbon in the form of CO2 absorbed by oceans, soils, and trees each year. Thus, removal of forests and changes in land use, associated with the conversion from rural to urban domains, alters this natural sink for carbon and increases the potential for atmospheric CO2. The agricultural sector produces a significant amount of methane emission (Desjardins et al., 2001). Animal digestion in domestic livestock is the leading contributor to agricultural methane emission (McRae et al., 2000). Enteric fermentation, the process in which microbes that reside in animal digestive systems, breaks down the feed consumed by the animal and releases methane. The decomposition of organic animal waste in an anaerobic environment also produces methane. Rice cultivation is another source of methane emission (Lal et al., 1998; Wang et al., 1996). The soil's organic matter decomposes under the anaerobic conditions created by flooded fields, releasing methane to the atmosphere through the rice plants. These are considered major sources of methane in the atmosphere. The application of synthetic nitrogen and organic fertilizers is a leading contributor to N2O emissions. 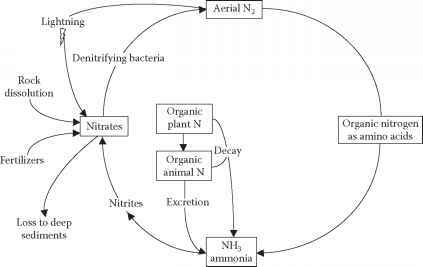 Bacterial action on the chemical fertilizers results in the release of N2O. The gas is released when soil microbes digest the fertilizers. The more inorganic nitrogen-based fertilizers that are applied, the more N2O goes into the atmosphere. This potent pollutant is detrimental to the life-preserving ozone layer (Lyman et al., 1990). Soil management practices, such as irrigation, tilling, or laying fallow the land can also affect N2O fluxes to and from the soil. Thus, agriculture has a significant role in the inventory of atmospheric greenhouse gases and in mitigation measures to reduce greenhouse gases. CO2 accounts for 85% of net U.S. greenhouse gas emissions in 1995 (U.S. Department of State, 1997). Lower harvests in old-growth forests help prevent CO2 emissions. A shift toward ecosystem management also favors timber harvest methods that inflict less damage, and helps retain carbon in forest lands. The conversion from conventional tillage to reduced-tillage systems increases soil organic carbon (SOC) content that amounts to sequestration of atmospheric CO2. Removal of erosion-prone land from cropping, and seeding it in perennial grasses, also allows soils to sequester carbon. Rosenzweig and Hillel (2000) noted that proper land management aimed at enhancing soil organic matter improves soil fertility and soil structure, reduces soil erosion, and helps to mitigate the greenhouse effect. It is estimated that methane comprised about 11% of U.S. greenhouse gas emission in 1995. The improvement in animal breeding and husbandry, the adoption of biotechnology, and the current declining trend in the consumption of milk and red meat could cut methane emission by 20%. Research on ways and means of capturing methane released from manure management systems and using the captured methane as an on-farm energy resource showed that it is technologically feasible (Janzen et al., 1998., p. 55). More efficient animal production through improved grazing management, strategic feed supplementation, genetic characteristics and reproduction, and disease control contributed toward reduced methane emission (U.S. Department of State, 1997). Finally, while nitrous oxide emissions account for only about 3% of U.S. greenhouse emission in 1995, improved management of fertilizers could reduce N2O emissions from the soil. In Canada, the effect of agriculture on the atmosphere has been documented in a national report entitled: The Health of Our Air (Janzen et al., 1998), which is a companion report to The Health of Our Soils and The Health of Our Water. The Health of Our Air provides first comprehensive estimates of GHG emissions from Canadian agriculture with reference to the global concepts. 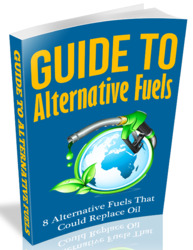 It addresses in detail the amounts of the various greenhouse gas emissions and possible ways of reducing them. Many of the findings presented were obtained from a national research program initiated by Agriculture and Agri-Food Canada in 1992.
amount, about two-thirds was as N2O and about one-third as CH4. Livestock and Manure account for about 58% of these emissions, cropping practices for 37%. By comparison, net emissions as CO2 were almost negligible. The estimates of CO2 emission, however, exclude most of the CO2 from fossil fuels used to produce inputs, power farm machinery, and transport products. These sources emitted about 25 T.g. (million tonnes) of CO2 in 1996. With these emissions from all other agricultural practices included, the agriculture sector's contributions were about 15% of Canada's emissions. The emissions of greenhouse gases from Canadian agriculture are increasing, according to current estimates (Table I). By 2010, emissions may be about 9% higher than those in 1996, unless producers adopt better management practices. These projected increases stem largely from predicted increases in livestock numbers and N inputs as fertilizer and manure. Emissions of CO2 are expected to decline, but not nearly fast enough to compensate for predicted increases in the other gases. The above Canadian statistics are not without uncertainties, N2O has the highest and CO2 lowest uncertainty. Nevertheless they serve as a reference point for showing trends. Future emissions will depend on changes in farming practices that are hard to predict. Livestock numbers, crops that are grown, fertilization patterns, and manure management techniques can all change quickly, throwing off the current best projections (Janzen et al., 1998). At one time, agriculture was also an important source of CO2 because of the substantial loss in soil carbon that has occurred since cultivation began through conversion of forest and rangeland to arable land, fertilizer manufacture, and fossil fuel use. However, these emissions have decreased to almost negligible levels. Smith et al. (2000), using the Century model for the period 1970-2010, simulated changes in SOC in agricultural soils of Canada. Changes in SOC in agricultural soils influence soil quality and greenhouse gas concentrations in the atmosphere. The simulation changes indicate that the agricultural soils in Canada, whose SOC are currently very close to equilibrium, may stop being a net source of CO2 and will become a sink by the year 2000. The rates of carbon change for the years 1970, 1990, and 2010 were estimated to be -67, -39 and 11 kg C ha-1. These changes are the result of an increase in the adoption of no-tillage management, a reduction in the use of summer fallowing, and an increase in fertilizer application.